Already have your barn doors? We've got the sliding barn door track for you. Available in a variety of different sizes to suit your needs. We suggest a mounting board behind the track for ease of assembly. Simply attach the mounting board to the studs in your wall and fasten the track to your mounting board. 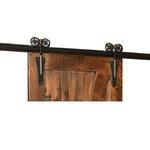 Then with the help of a friend, hang the sliding barn door(s) on your new barn door track. To order, select your track length (based on the width & number of barn doors), mounting board length (same as track length), & number of trollies to attach your barn doors to the track. Trollies come in pairs with two trollies per pair. One pair of trollies is needed for one barn door. 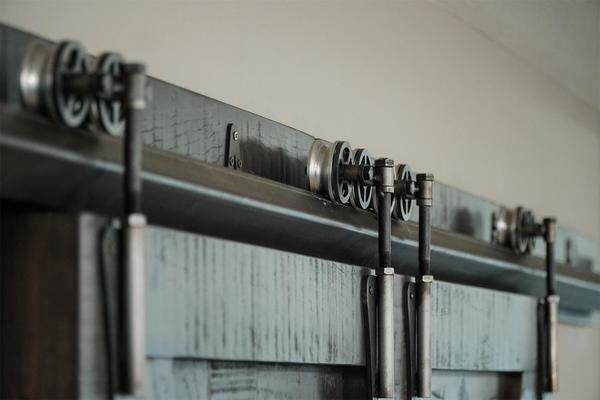 They allow the door to glide smoothly across the steel track for easy to use barn doors.